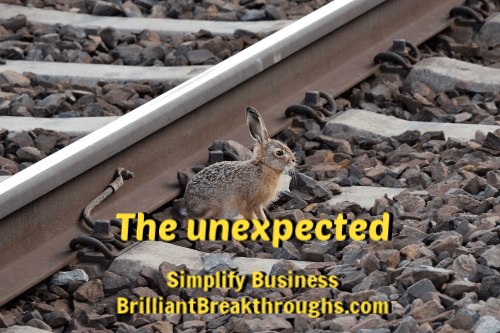 When the unexpected delivers results - Brilliant Breakthroughs, Inc.
How are you going to optimize the unexpected when it presents itself? 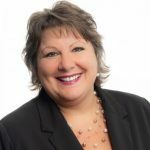 The unexpected typically occurs throughout the work week of any Small Business Owner. At the moment, it’s 7:51 am and I’ve already had four calendar changes for today. Why? Major snowstorm and blizzard conditions at times throughout the day. The storm was expected – but sometimes weather isn’t as severe as predicted. We live in Wisconsin so we know how to hunker down and work with extreme weather. What do we do, as professionals, when our plan is altered due to the unexpected? We have options. Options to unexpectedly optimize our day! As children, we appreciated a good snowstorm. We played the day away and couldn’t wait until the foul weather was better so we could go mark our yard’s territory with sled tracks and footprints. I’m sure your days were similar, weren’t they? Do adults have a different approach to snow days? Yes and no. Some adults will simply call it a vacation day and act accordingly, while others will use it as a productive bonus day. No judgment here – both are appropriate. If you are taking time to be with your family, enjoy it. Make it a special day filled with greatness and fond memories both big and small. Take on a project that has been alluding you or maybe some training – tech or professional development. Maybe research could be a great way to spend some uninterrupted time. Perhaps it’s time to call customers or train a team member on something. Whatever you do for your business, make choices that will advance your workload and achievement levels. Sprinkle that with being a little more gentle with yourself. Maybe turn on some music and allow yourself to sing and dance. Take a moment to be grateful and reach out to one of your mentors. Declare it a decluttering day. Whatever your unexpected day brings, make it matter. It doesn’t matter if you choose the personal or professional options, or a combination of the two. With a little mindfulness you can assure it delivers results you will appreciate. Optimize the day friends!